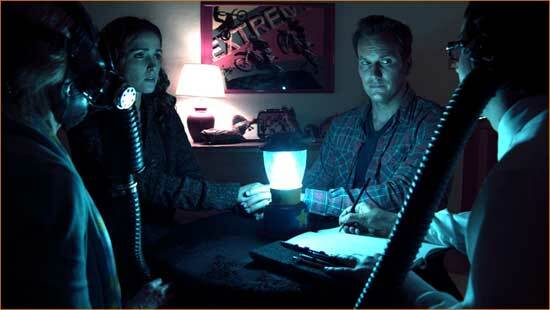 Josh (Patrick Wilson) and Renai (Rose Byrne) and creepy goings-on in "Insidious". The problem, I think, with most horror movies these days is that they’ve forgotten how to scare us. The relationship of today’s horror film to the audience is very much like that of an old married couple who’ve fallen into a rut. They both go through the motions of the relationship as they have over the course of the years on auto-pilot. Maybe they do things not really even knowing why but just because they’ve done them for so long that it’s become the only way they know. Similarly, horror fans go to horror movies hoping for something new, but nothing really ever changes. We hope for something better, but if we don’t get it – well, that’s just the way it is. Sometimes, they shock or disgust us. Scaring us, however, is a nigh forgotten art. Thankfully, James Wan and Leigh Whannell haven’t forgotten. The duo that put the genre on its collective ear with the game-changing “Saw” have teamed up again to put their spin on the classic haunted house story in “Insidious”. 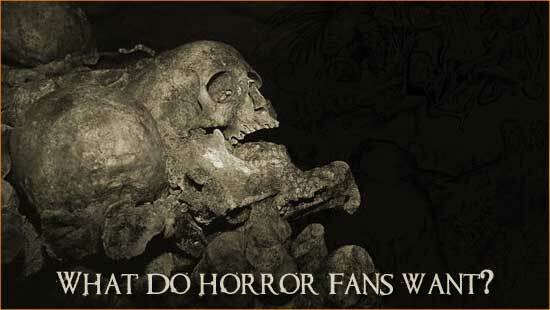 Auntie Maim: What do Horror Fans Want? This week’s edition of “What Do Horror Fans Want?” we finally give an unbridled rein to one of our new additions here around the TerrorScribe grotto, Auntie Maim. No Mountains. No Madness. No Movie. 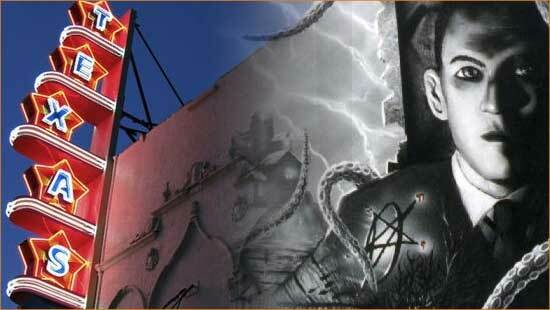 Ain't no "Mountain" for Del Toro or Lovecraft fans. How does one kill a Lovecraft monster? Option it to Universal Studios. Even after the much ballyhooed – at least in genre circles – of the melding of director Guillermo Del Toro, producer and current 3-D deity James Cameron, Tom Cruise and one of author H.P. 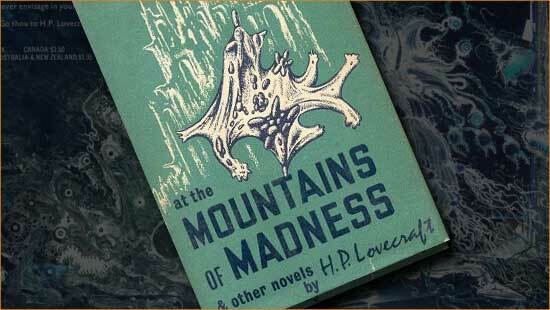 Lovecraft’s best stories, Universal Studios has decided not to go forward with the proposed big-budget adaptation of “At the Mountains of Madness”. Howard (Richard Gunn) and Charlotte (Abigail Mittel) move into a mystery in "Fugue". For a couple of years in college, I was a music major. I generally liked it except for Tuesdays and Thursdays when, invariably, I’d have a 7:30AM class. My freshman year it was Music Appreciation. Music History took its place my sophomore year. These weren’t bad classes but they were pretty early in the morning in a well air conditioned auditorium with comfortable chairs. In other words, it was a recipe for an unintentional nap. I don’t remember much from them, but I remember this: a fugue is a musical piece with two or more counterpointing voices. It’s also a rare psychiatric disorder which included reversible amnesia. Both play a part in Barbara Stepansky’s second feature film, “Fugue”. Nikki (Roxy Vandiver) and Rachel (Julin) demonstrate the power of cheer in "Spirit Camp". If you ask either of my ex-wives, there are a great many things that I don’t know anything about. However, I do know something about cheerleaders. Now before you start with the knowing winks or high-fives, let me clarify: my older sister was a cheerleader. That made me the dorky little brother that got dragged along to games or was otherwise jammed into a car with a bunch of girls wearing really short skirts. It wasn’t all bad. 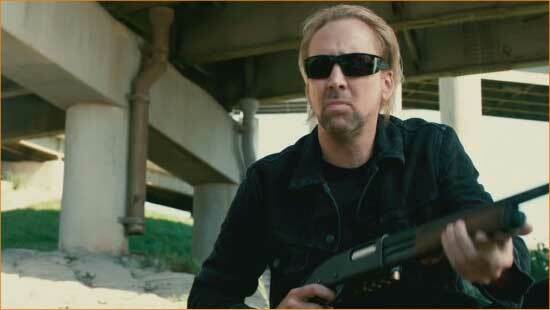 Angry Milton (Nicolas Cage) is angry in the revved-up, old-school "Drive Angry". If you’re not, you might want to. Nic Cage has done a movie I like. It’s that that I dislike him as a person or actor. It’s not that he hasn’t done anything I’ve liked before, but it certainly seems that he’s kind of gotten himself into a bit of a rut- not the typecast rut, though. No, it’s that rare condition that I call the “Sean Connery Rut” where no matter what role the actor plays (Russian sub captain, Spanish swordsman, etc…), it’s performed the exact same way. So, it seems to me that Cage has brought that same lazy… Nic Cage-y style to every role he’s done in the last ten years. It’s rarely a good thing. Call “Drive Angry” the exception. 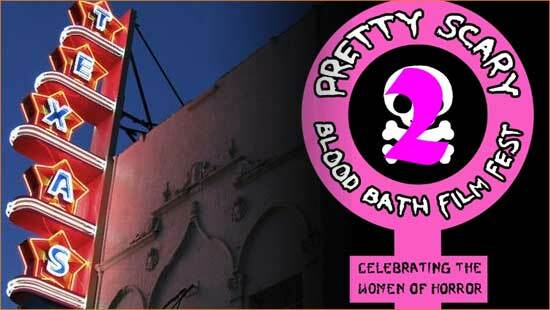 Nine shorts were presented at this past weekend’s Pretty Scary 2 Film Festival, sponsored by genre regular Shannon Lark’s Viscera Film Festival. Although these films were short -some lasting less than a minute – their message was loud and clear: you don’t need an hour and a half to make someone jump nor do you need a lengthy dialog.